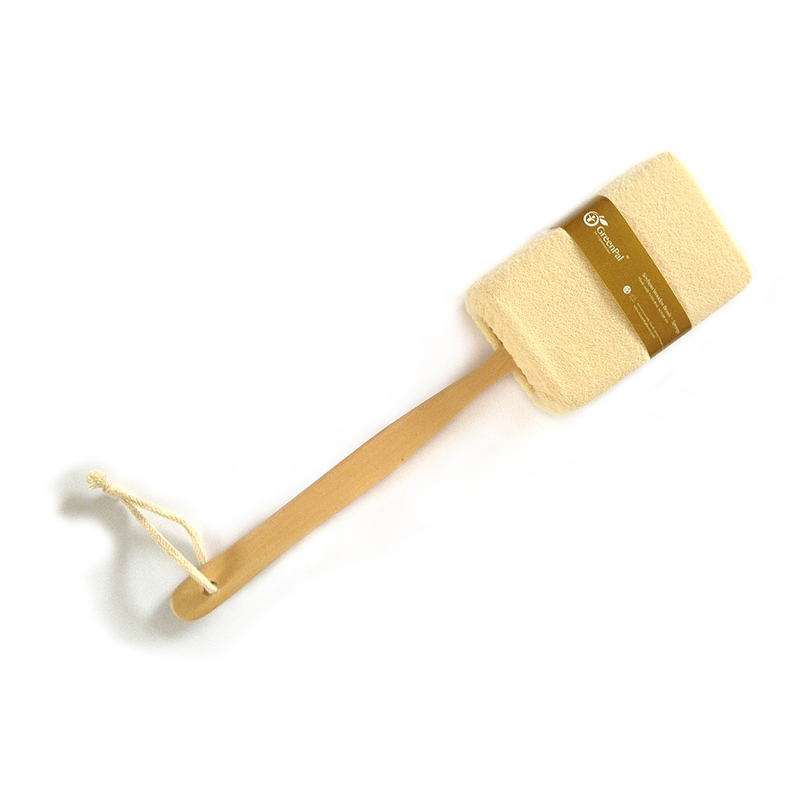 Soybean Wooden Sponge Brush is made with natural soya bean fiber with long wooden handle. Soya bean fiber is extremely comfortable, environmentally friendly, and has been called the "vegetable cashmere" because of its incredibly soft properties. You and your child will be able to experience why it is called vegetable cashmere and enjoy the ultra softness that feels like a second skin. Made with natural Soya Bean fiber and internal part made with Polyethylene (PET) (recyclable and has the number "1" as its resin identification code). Organic soy crops support Mother Nature by being grown without fertilizers, pesticides and herbicides. Fertility is added back to the soil rather than depleting it, making soy agriculture an ecologically sound option.The soy proteins for sponges are extracted from the residual by-product of soybean oil or tofu production, which is recycling at its best to begin with. From there, manufacturing is eco friendly. The soy protein is liquefied, then the fiber is produced by wet-spinning. Soy silk does not contain petroleum. It is biodegradable. Polyethylene (PET) as thermoplastic is easily converted into various pipe and fitting dimensions and can be recycled into less critical applications at the end of its lifetime. Fabric is soft, smooth and light. Light-reflecting properties gives the luster of silk. Prevent skin aging and Anti-wrinkle.